I am a USA Cycling Level 1 Coach w/ distinction and both power & skills certifications. I have a B.A. in Exercise Physiology and over 25 years of competitive racing, team management and coaching experience. I have been assistant coach for the USA Cycling Regional Talent ID Camps for the past 10 years and helped develop the curriculum for the Beginning Racer Program as one of the lead instructors at the NorCal "Early Bird" training series over the last 10 years. 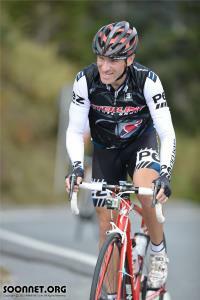 I host a weekly training ride for my athletes (Tues at 5:30p, come by and check it out!) and continually strive to develop novel and effective clinics like my "Advanced Racing Clinic" that uses a scooter to help take riders to the next level. My latest effort is a team vs team scrimmage to improve tactics in real racing situations - it's a blast! I am head coach for the Peninsula Velo/Summit Bicycles Race Team in NorCal as well as working with select private clients and vendors who share my passion and commitment. I love cycling, whatever the type! I've raced road, track, 'cross, MTB XC, 24 hours, and even downhill! While I believe that power is a great tool, when used appropriately, it isn't a miracle solution - you still have to do the work! The pinnacle of performance is built on the foundation of consistency! Maybe I can help you reach a new level? Success. Coach Matt McNamara has been notified of your message.